The Next Stage: Women and Retirement: The best thing about travel—Coming home! The best thing about travel—Coming home! I enjoy traveling and Rick and I want to continuing doing so as long as we can, but maybe not so much as I once thought we would. Even though our trip was only for 2 weeks and we really enjoyed Barcelona and Southwest France (more on that later), I was so happy to be home. Also, I’m finding that although I still very much enjoy planning for a trip—as the time gets closer I find my self increasingly reluctant to go. This year it was especially hard to leave my garden. With the unseasonably (or is this the new normal??) weather, my late March garden looked like a mid-April garden. I was overcome by a powerful urge to plant and I thought I’d really rather go to a garden center than go to Barcelona. I did not want to leave all those emerging bulbs and spring flowering shrubs and trees. 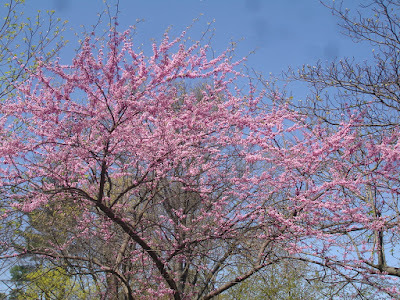 My beloved redbud was just coming out and I was afraid its gorgeous purple blossoms would be gone by the time we returned. I need not have worried; the temperatures cooled down somewhat during the time we were away and there are still flowering shrubs and trees and those incredibly beautiful pale green leaves which last for just a short period of time. And to my surprise redbuds were blooming all over Barcelona! 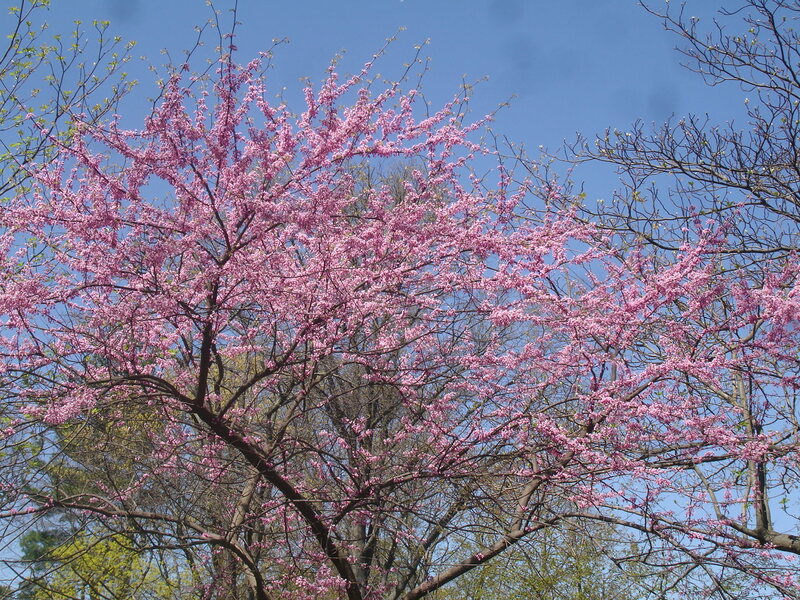 I had thought of the redbud as a North American tree—after all, its botanical name is Cercis Canadensis--but it flourishes in Mediterranean climates as well as the temperate zones of North America. The early flowering shrubs and trees were blooming in Barcelona and Southwestern France, so I didn’t miss early Spring after all.